Diana Saw Dr. Awkward Was an Aid. So I’ve spent much of this weekend doing several things while my wife was out of town: finding new blogs and people to follow on twitter, watching TV, putting off writing assignments, and watching as much Demetri Martin as I could find on YouTube. If you are following me on Twitter (@stevejmoore), then you probably saw me sharing my excitement at Mr. Martin’s videos as I discovered them. I had seen his work on Comedy Central, knew he wrote for Conan O’Brien for a while, and was a big fan of his flip-chart bit because of the part where he draws an empty circle and says, “this is a pie chart about procrastination.” That killed me. I highly suggest that you check out his DVD, Demetri Martin, Person and his new show coming up this Wed. on Comedy Central as well. If Bill Gates was successful because he dropped out of Harvard, then Demetri is so because he dropped out of law school. Truly the work of a solitary genius. Off the top of my head, I only know a few palindromes beyond the title of this post (ah, did you catch it? ), “madam, I’m adam,” and “racecar.” I certainly can’t imagine spending time trying to create an entire poem out of nothing but these reflexive devices; simply astonishing and awesome. I think his act, if you take a bit of time to watch it, says a lot about art. Martin was interviewed this week on NPR, which is what prompted me to find more of his material. He has a great narrative and is now an artist I respect very much. His stand-up explores more than jokes; he gets in so many digs about humanity, philosophy, and social idiosyncrasies, but does so with such loveable sophomoric snark, that you have to digest it all with a hearty chuckle. Very funny, and I hope his new show will be too. Because I love poetry, because I love politics, because I am too lazy busy to write anything else, I am posting a copy of the inaugural poem that Robert Frost read for John F. Kennedy on this very day in 1961. Barack Obama has chosen Yale poet and scholar Elizabeth Alexander to pen the fourth presidential inauguration poem for him. She was a Pulitzer finalist in 2005 and has written several volumes of poetry. This first poem, Dedication (pictured below), was written in commemoration of John F. Kennedy’s 1961 Inauguration, but due to 87 year old eyes, Frost could not read the type. Instead of the poem below, he read The Gift Outright (further below) from memory. As a gem for those of you who at least scrolled to the bottom of this post (not everyone reads poetry carefully, I know) I stumbled upon two poems that Obama, himself, had published in an Occidental College journal years ago. Read them for yourself here. Minor disclaimer: I do not like Kanye West as a person (just see his blog). Mine is far from perfect, but if you actually find a post where he writes, you will get an idea of just how childish and spoiled this overly-produced mega star is. I do, however, have room to appreciate him as an artist. I do like hip-hop and rap (see post on Atomosphere). My tastes in music vary greatly and I credit myself as a person who gives people chances. So, I listened to Mr. West’s entire new album 808s & Heartbreak (I applaud him for his grammatical ommission of an apostrophe in plural but not possessive “808s”) and tried to sincerely block out my usual desire to laugh, cry out in pain, or sigh in disgust. I need music to have a reason behind it. I need to believe that the person or group I’m listening to believes in a message of some sort, even if that message is “we have no message.” As I see it (before hearing 808s), Kanye believes in only himself and his continued ability to make money. Then I realized that Kanye wrote all of it himself (of course!). Perhaps the only well-produced parts of Mr. West are his beats. Most of the words rapped in the album wouldn’t get you through a high school talent assembly. When you usually get infusions from incredible groups like Daft Punk in songs past ( I keep telling myself they just did it for the money) and you only get acclaim for your sampling feats, there’s a problem with your talent. It would be different if the well-managed drum machine was interrupted by someone who could either actually rap, like Mos Def, or someone who can actually sing, like John Legend. Sadly, there is no such reprieve with Kanye. I know things like black lights, venetian-blind sunglasses, and pretending you’re as cool as Jesus (or John Lennon) are important, but when did making good music take a back seat to meaningless (albeit highly sellable) personalities? Most of 808’s is, sadly, exactly what I thought it’d be: ignorable, forgettable, and some of it just plain bad. I won’t start a separate rant here, but I’m tired of songs “feat. ‘so-and-so'” that you would have no idea of unless you were in the studio during the session and you saw them bring in lunch. Sadly, Hip-hop has become somewhat dependent upon name-dropping lately. Then, sell your marketable moniker to big names in need of a quick shot in the arm. I’m not trying to say hip-hoppers/rappers need to stop collaborating, but just save your thanks for the liner notes unles your act is like Run DMC and Aerosmith. where pac-man does lines, trying to escape the ghosts. In a world where I often spend my time (here in the blogosphere) clicking through dissident news tags about human rights, protests, politics, and rather raw stories in general, I find myself struggling to push the negative out of my mind and replace it with positive. I live my life trying not to hide from negative events, but to educate myself about and accept them. However, I firmly believe in messages of hope as being important. China is presented with a truly unique opportunity this month to evoke the spirit of friendly competition in the world’s nations. From this global stage, the world’s people should be able to set aside struggles and differences momentarily to remind themselves of our One World, our One Dream. Okay, so perhaps I’m a bit of a Pollyanna when it comes to the state of the world. 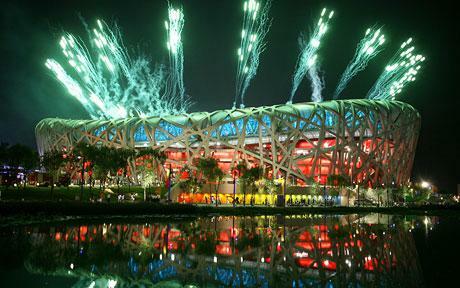 But, who, I ask you, could resist being in complete awe after seeing the opening ceremonies? How could anyone not sense the yearning of our world to come together and achieve something larger? This is what I believe Yimou was striving for in his presentation. He is a Chinese artist who expresses his country’s values and history with what I think is a global awareness in his films and this event lives up to that standard. These Games are perhaps only recreation but such a gathering of nations should not be overlooked in the state of world affairs as such. No, I’m not talking about an American presidential campaign, but rather the state of a world that decides to put aside struggles, inequity, and misunderstandings to engage in aquatic, gymnastic, and ping pong diplomacy. The opening ceremonies and early games saw the likes of Hu Jintao, Nicholas Sarkozy, Vladimir Putin and the Bush family conversing in congenial fashion while the nations paraded across a giant canvas together, each for the pride of their home. Perhaps only posturing, but these do leaders play an important role in doing so, allowing for the athletes to display how global citizens should treat one another. Even if the acts on high wires and the bursting explosions in the sky are only facade, I still find myself weighing in on their significance. What does it say about China, struggling with pollution, poverty, and population control, that they go so far out of their way to make the world feel welcome to share in this celebration? Even if there are cracks beneath the surface, I believe this time should be taken to celebrate what we would like our world to be; one in harmony. More to come after the games end. $8 and an earful of explanation later, I was looking forward to watching this important work of cinematic and acoustic art. Ed had explained to me that the entire film was merely 88 minutes of instrumental overture lain upon a cinematic landscape of rural and urban themes. The music takes the viewer through by the hand through a journey from the order of nature to the chaos of the urban and human world. The movie is meant as a meditation on the connection between the natural and artificial worlds where people have become disconnected. If you would have asked me then, I wouldn’t have been able to explain that because I only watched the first 20 minutes before I was bored out of my mind. But wait! Steve! I thought you were into art? I did glean more than I had first thought from my brief initial encounter with this film. I learned who Phillip Glass was. 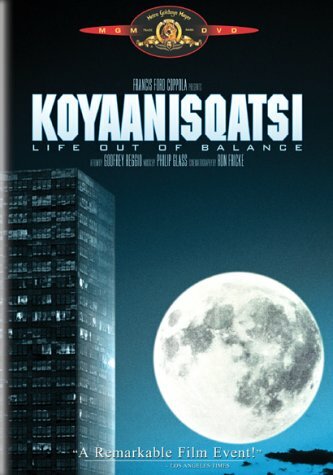 It was his music that is the foundation of Koyaanisqatsi, the engine by which any message is ferried from screen and speaker to eyes and ears. Hauntingly simple strings of notes are repeated over and over building a melody as one builds a bridge from ten thousand toothpicks with no glue at all. I immediately went searching for other works by this fantastic composer and artist ( I have a big soft spot for piano music in general) and found that he had a solo album called Metamorphosis, and that Glass’s work could be found in many movies already like The Hours and The Truman Show. Writing about this has reminded me that music in movies always has a significant effect on me, both in terms of the emotional weight music can add and also of my opinion about a particular film or genre. Another instance of this happened just the year before. I hadn’t yet left Augustana College in South Dakota for Missouri State (nor the field of chemistry for that of English), but my position as a Peer Advisor (RA, TA, SA, call us what you will) on a freshman floor allowed me ample free time to watch a lot of movies as I was waiting for people smuggle in booze and girls in the wee hours of the morning. Often, I watched movies with my residents ( I call them “residents” but we were all friendly, barring any Halo-influenced rage), and in some cases movies I may not have otherwise watched. This was particularly the case with Spirited Away. Let me paint you a picture of Myself in 2004: I like a range of movies a bit wider than when I was in high school, but one genre I still don’t understand is Anime. Why not you ask? 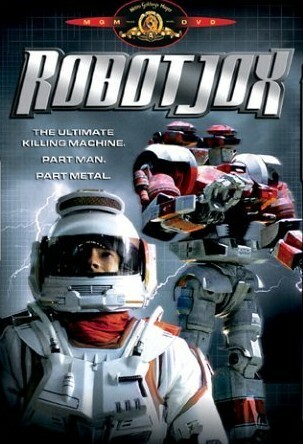 Yes, for those of you wondering, the “jocks” are people who ride inside of giant robot warriors and fight each other. All of that aside, my conception of the genre was completely reversed when I saw Hayao Miyazaki‘s masterpiece. My heart melted and ran down my leg into a puddle on the floor–ok they were tears, but who doesn’t like a good metaphor? The point is that I was emotionally moved by this film and my eyes were opened to a wonderful new world I was unaware of before. The music did play a major role in easing me into the unfamiliar (non-Disney) animated landscape and I eventually bought the incredible score by Joe Hisaishi. After being so blown away, I wondered what exactly I had been missing out on. Before watching the movie with my friend and dorm-mate Alex, we would often play chess together in his room while listening to various soundtracks and scores. One I was attracted to in particular was the work of Yoko Kanno for the Cowboy Bebop TV series. It’s basically the best jazz fusion mix I’ve ever heard and so I decided to give the series a chance based solely on the music. But discussion of that series and its music deserves its own post on another day entirely. Until then, I’ll advise everyone to take a step out of their comfort zone and check out something new in film, music, or both!